The City of Delft will be organizing an informative Welcome to Delft event at the DOK Library Concept Center on Saturday, November 1, 2014 from 10:15 to 12:00. Hosted by Vice-Mayor Ferrie Förster, the event is an opportunity for expats in Delft and the surrounding area to meet new people and to learn more about living and working in the city. Visitors will be provided with information concerning official matters, employment, housing, health care, leisure and the arts, and education. Several activities will also be organized for children. TEDxDelft will be present during the event to inform visitors and newcomers alike of the upcoming TEDxDelft event, which will be held at the TU Delft Aula Congress Center on February 27, 2015. 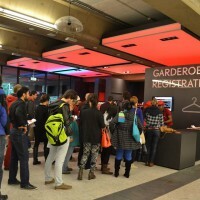 Visitors interested in volunteering for the conference are welcome to enlist with TEDxDelft Team. To register for the Welcome to Delft event, kindly send an e-mail to expats@delft.nl and include your name, the organisation you work for or study at and the number of relatives who will accompany you.